Reader Tom writes: What can you tell me about the “mini-laptops” or netbooks that seem to be popping up all over the place? My wife saw one that sold for about $350 with built-in Wi-Fi and she says she wants one now. I have yet to see one in person, so I have no idea if they are worth the money. Yeah, what’s the deal with all the netbooks? If you’re unfamiliar with the devices, here’s the pitch: You get a small, cheap laptop with a basic set of features, limited performance, and often a small hard drive (or an even smaller amount of flash storage). Some netbooks run Windows (usually XP), some don’t. And that’s the sell. The emphasis: cheap. Prices typically range from about $300 to $500, but there are exceptions on either side. As with standard laptops, the more you pay, the more you get… but at some point you get into the realm of those regular laptops, and the appeal of the netbook fades considerably. There are numerous pros and cons to the netbook phenomenon that should impact your decision whether to buy one. First, some pros: They’re cheap. Oh, I mentioned that. But they’re also very portable and generally more rugged than you’d expect, which makes them great for people looking for a second laptop to use as a “getaway” computer. Just toss it in your bag and head out for that adventure weekend. If it gets lost, stolen, or broken, you’re out a much smaller investment than if it had been your $2,000 Mac that you dropped into a ravine. Now for the flipside. Netbooks are, again, cheap. To get prices down, sacrifices must be made. That means dog-slow processors, no graphics ability, (usually) no optical drive, and minimal RAM. Netbooks won’t work as an emergency DVD player for the kids. Battery life is often poor (with a few exceptions). Many netbooks look more like toys than real laptops, so they aren’t appropriate for business users. And the smaller the keyboard gets, the harder it is to type. On machines with an 8.9-inch screen (the smallest and typical standard among netbooks), touch-typing is pretty much impossible. Then there’s the OS issue. While some netbooks run Windows, many run Linux. Whether that’s a pro or con depends on your opinion of Microsoft, but many users dislike having to learn a new operating system and instead prefer the familiarity of Windows. Should you buy one? Tough question, but I highly recommend that if you do, you consider a model with a 10-inch screen, which will give you a less cramped experience on both the eyes and the fingers (thanks to the bigger keyboard). 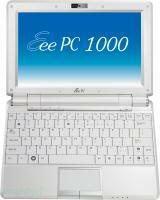 My two favorite models: The Asus Eee PC 1000H and the new Lenovo IdeaPad S10, both with 10.2-inch screens and Windows XP. Both are available for under $500. The Eee has much longer battery life (but weighs half a pound more), while the IdeaPad has better performance and a larger hard drive. Take your pick. I would make the emphasis: portable! not cheap. Cheap, or at least inexpensive, is good, of course, but the really kicker for me is the ability to carry the thing where ever I go. And I would not play down the performance all that much either. My Acer Aspire One runs Lightroom, PS Elements, Firefox 3.x, Thunderbird, Thinkfree Office, just as well, if not better, than my new Dell full sized laptop. And I can use it on the tray in a regional jet! As a second computer it is hard to beat a Netbook. See my post on Netbooks for Traveling Fotogs.